Dr. Abo was born in south Jersey where he started with Mount Laurel EMS as a teenager in high school. After studying Emergency Medicine while working as a paramedic at the University of Pittsburgh, he stayed on as faculty at the Center for Emergency Medicine and University of Pittsburgh Department of Emergency Medicine as a researcher and Coordinator of Education and International Emergency Medicine/EMS. He then spent some time abroad living in India just prior to starting medical school in the San Francisco bay area. After being hooded with honors studying medical school and public health at Touro College of Osteopathic Medicine – California, he took time off prior to residency to start a non-profit in Africa aimed at decreasing maternal and neonatal mortality and trauma. 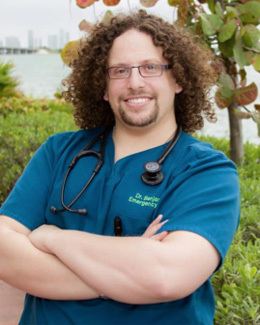 He completed his 4-year emergency medicine residency at Mount Sinai Medical Center – Miami Beach and Ryder Trauma Center in Miami, FL, while completing fellowship in wilderness medicine through the Wilderness Medical Society. After residency, Dr. Abo completed an EMS fellowship at the University of Florida where he accepted a full-time position at the University of Florida. Throughout all of his training, Dr. Abo has remained clinically active in EMS FL-5 DMAT disaster team, FEMA/Miami-Dade Fire Rescue Urban Search & Rescue (USAR) Task Force 1. He has also remained active as a paramedic with various services globally and continues to do research and lecture globally. This includes being Assistant medical Director for Hallandale Beach Fire Rescue, Medical Director for Venom 1 & Venom 2 Venom Units, Assistant Medical Director of Lake County Emergency Services, Associate Medical Director of Technical Rescue for Gainesville Fire Rescue, one of the only four instructors for the Wilderness EMS Medical Directors Course, and honorary medical director of the Surfer’s Medical Association. Dr. Abo has authored numerous chapters including multiple chapters in Wilderness EMS textbook. He currently serves as medical direction and consultation for a number of projects, services and EMS schools. He has a strong interest in anything EMS, toxinology/venoms, EMS for children, international EM/EMS, mentorship, resiliency and sustainability in emergency services, disaster medicine, educational and experiential processes, wilderness/austere medicine and technical rescue practices.